Despite what men say, women really aren’t that difficult to understand, and certainly not that hard to shop for. All it takes to find the perfect gift is finding out what she likes! Every lady is different, but these 10 ideas might get you started on the right track. These are extremely useful for ladies every day, especially the clutzy ones (guilty!). Hanks are excellent for wiping smudged makeup, blending concealer, wiping noses–especially those of the little ones–and so much more! Everyone needs a pocket knife. For some reason, they’ve gone out of fashion. But I think everyone lady should have one in particular. It’s the most useful everyday carry tool there is. Record players are fun, vintage, and popular again. A lot of newer artists are releasing their music on vinyl these days, and there’s just something about the warm pop and hiss of a record player that is romantic, and authentic. Plants are better than cut flowers. They are alive. They’ll last awhile. Get her something whimsical, like a cactus, or useful like an aloe, or herbs. Pothos is a simple low maintenance plant. Succulents are also low maintenance, and fun! Give her the chance to get out of the house with some gal-pals. Dinner out, a movie, and an Uber for three of her best friends! This is one of those things that we’re never prepared for. A flat tire on the highway – getting stuck in a winter storm – an accident. They are all situations for which she should have certain things in her vehicle. Road flares, tow straps, jumper cables, emergency food and water, an ice scraper, a flashlight, a blanket, etc. You can get her a kit with all of these things, or assemble it yourself. Essential oils may seem like they are taking up your instagram stories feed, and you might be sick of hearing about them. But the truth is – many people are finding out that oils are changing their life in a way they never expected. A Young Living Starter Kit is a great way to get her all the oils she needs if she wants to try, for about the same price as just a couple of bottles. If she likes it, she’s now a distributor, and can get a discount if she wants to proceed in the “oily life”. Pepper spray, a taser, a purse specifically made for a concealed carry weapon are all good gifts, if you want her to feel secure. Damsel in Defense has a great line of products and resources to keep her safe. Gift certificates don’t have to be impersonal. Give one that has special meaning. A gift card to her favorite coffee shop. A gift certificate for a tattoo, or a car detail… don’t just give her a big box store card, but one that means something to her. Get her a subscription to Better Homes and Gardens, or Country Living, or Taste of Home, or Style, or some other magazine that she would love! It’s the gift that gives all year long! It’s often hard to buy Christmas presents for HIM – why? Because he usually has what he needs. And the things that he usually “wants” are a bit more than the average budget can allow. So what do you get HIM for Christmas? What are the best Christmas Gifts for Men? I know – it seems a bit self-serving for us to list it first – but it’s true. 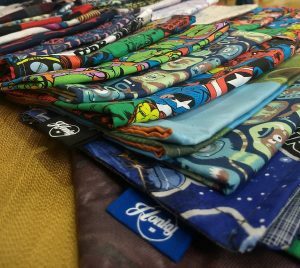 Everyone should have a few handkerchiefs in their wardrobe, so that they can keep a clean one on hand. It’s a hand tool to catch crumbs on his lunch break, to stop bleeding in case of an emergency, or to clean off his windshield when it the defroster stops working! You can’t have too many pocketknives. I keep one in my drawer at work, one in my car, and carry different ones in my pocket. But not just a typical gift certificate. Get him a gift certificate to the restaurant near where he works, or a gas card, or a gift certificate for a tattoo at his favorite place. A little thought into the kind of gift certificate makes it a very meaningful gift. They aren’t a lot of money – but a powerbank that can charge his cell phone when he’s going out is a great gift. Practical, and guys like gadgets. Guys love this stuff. You can get him some HonkyOil – or any beard balm will be helpful to keep that beard smelling nice, and looking smooth. Like pocketknives, a guy can never have too many. Consider getting a lined flannel for wearing as a jacket, or an extra soft one for cuddling up by the fire. Even if he’s not a smoker, men love Zippo! It’s fun to fidget with, and practical for starting campfires, and helpful in an emergency. 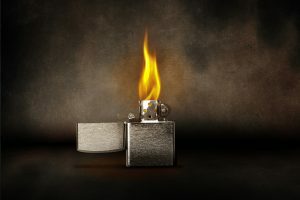 Zippo’s are collectible, so depending on your budget, you could get something customized, or emblazoned with his favorite band or sports team on it. Another gift from Zippo that every man would love. The old school hand-warmers, if you can find them, have a flame that burns low and radiates heat. The newer ones use a rechargeable battery. But they are a great gift for any man that lives anywhere north of Arizona. Most men may have moved on from their childhood, but they might have a soft spot for some of the toys that they played with when they were younger. Chances are good, mom made him give them to goodwill, or sold them at a yard sale, but the classic GI Joes, Ninja Turtles, or Hot Wheels cars that he had to let go may occasionally come back to his mind with a certain fondness. Having a little trinket for his dashboard or his desk at work would be appreciated. Don’t just grab one from the big box store. Get him a good one, from a local craftsman, or somewhere like Recycled Firefighter or Hitch and Timber. At the end of the day, he needs a place to dump his pockets. His spare change, receipts, pocket knives, and other every day carry items need a place to park for the night. Get him a wooden box, or a brass bowl or some other interesting place to leave his goods at the end of the day. They’re always breaking, getting lost, or getting plugged into Alexa, because someone took her cord. 🙂 Get him a handful of high quality chargers at an affordable cost at Monoprice. Men need a place to park their toothbrush, cologne, razors, combs, etc. A toiletry bag, or shaving bag gives him a place to keep it, that he can quickly zip up and take with him when he has to go on the road. Get a heavy duty canvas bag, or a leather one! He may have a nice toolbox to keep his tools in, but I’ve found that it’s handy to have a mobile box outfitted for each kind of project. A plumbing toolbox, a car repair toolbox, an electrical toolbox… it makes it easier to find what we’re looking for. There are so many great books that help men level up. Ask us what kind of books we like though. Seriously. Get him a rack of ribs, or a whole sirloin. Fill up the freezer with steaks. You can’t go wrong. Popular Mechanics, Stand Men’s Magazine, Men’s Journal, Handyman magazine. Get him a subscription for something he’s interested in. There are some great oils for men. Mister, Valor, Vettiver, Deep Relief, Stress Away, Thieves… A Starter kit is a great way to get him involved in a healthy lifestyle. There are even some great energy drinks he might be interested in… the Ningxia Nitro is amazing. Let’s be real. The factory jacks in most vehicles are cussword inducing nightmares. Get him a nice study jack that is simple to use, if he needs to change a tire or work on his car. If he has one for the garage, a second for his trunk is going to be loved. Not a salon. No girlie hair treatments. Get him in for a haircut and a hot towel shave (just clean up the edges… no need to lose the beard). Find an old fashioned barber. There is nothing better. As you prepare for the Holiday season, we wanted to help guide you in the right direction as you try to get the right gift for the men in your life! Pocket Knife – Any pocket knife will do – but if you want to get him something special – shoot for a Case! Tools – Honestly, even when we have a ton of tools, we could always use more. It might be worth asking what tools in particular we need. But you can’t go wrong with a tape measure, a screwdriver with interchangeable bits, a rachet set (standard and metric) and a tool box. We may already have these things, but we could always use another set for another purpose! Keybar – This is a fantastic tool for a man’s pocket! No more jingling keys! Food: The way to a man’s heart is definitely through his stomach. Why not get him one of these Christmas gifts for men? Jerky – Most of us LOVE Jerky. You really can’t go wrong here. Gift Certificate to a local barber – not a “hair stylist” – a BARBER. Get him a hot towel shave and a hair cut. Cologne – Some of the best manly scents out there aren’t a lot of money. In fact – the expensive stuff often smells like cat pee. Try the men’s section at Bath and Bodyworks. They also carry goods from CO Bigelow – much of that has a barber-fresh scent. 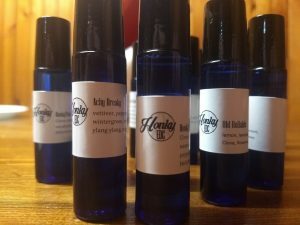 Beard Oil – Even if he doesn’t have a beard – there are oil blends out there – including our own HonkyOil blends that can be used for any number of purposes! 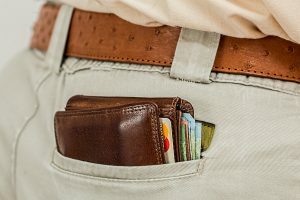 Everyday Carry: It’s more than just a cool trend on instagram – guys are carrying handy things in their pockets and go-bags on a daily basis – from guns to good luck charms. Ammo – Find out what he carries, and get a box of ammo for his gun! Hanks – Grandpa used to carry a hank to blow his nose – but carrying snot in your pocket is not what today’s “Hanks” are for. They’re great for wiping noses, sure, but also for just about every use you may need a towel or rag, but they’ve got a collectible and fashionable side. Honestly – most men are happy with your time and your attention. A gift that shows you acknowledge them, and the things they care about doesn’t have to be pricey, and it doesn’t have to be a grand gesture. Find out what they care about, and find the thing that acknowledges the man they are! If you haven’t read our story yet, you should! But I can tell you this – we’re SO EXCITED to be able to officially launch our website! We make quality, handcrafted goods for men and women – they make great gifts to give to others, or to TREAT YO’ SELF! So make sure you check out our site, and stock up!